Training Maryland's Recovery Advocates! - Voices of Hope, Inc. 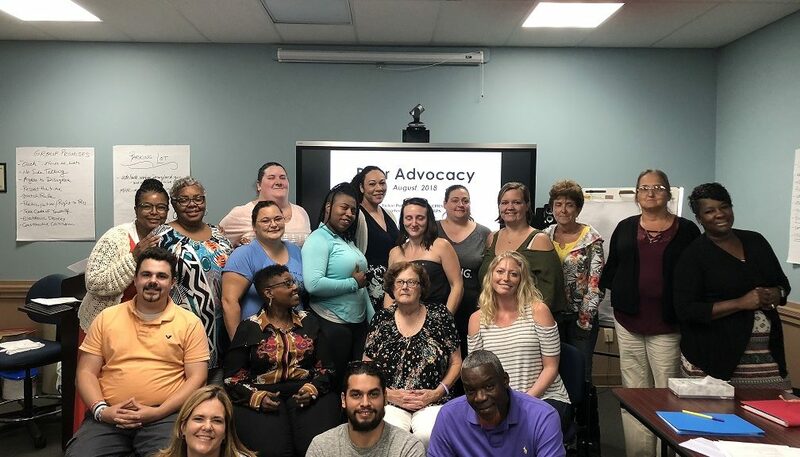 Advocacy involves speaking up on behalf of yourself or others, an important component in the effort to support an individual’s right to recover and live their best life. Voices of Hope, the University of Maryland Training Center and Beacon Health Options sponsored a training for Peers on August 14, 2018. Peers from throughout the State participate to learn more about advocacy and to sharpen their skills. This training gave 6 CEUs for application for the Certified Peer Recovery Specialist credential in Maryland, through the Maryland Addiction and Behavioral-health Professionals Certification Board. Attendees are volunteers and employees from throughout Maryland. 7 are active volunteers with Voices of Hope in Cecil County, Maryland. They learned how to advocate for themselves, for others and in systems to support recovery and recovery-oriented systems of care. This is a passionate group that will make positive changes supporting recovery throughout our state!